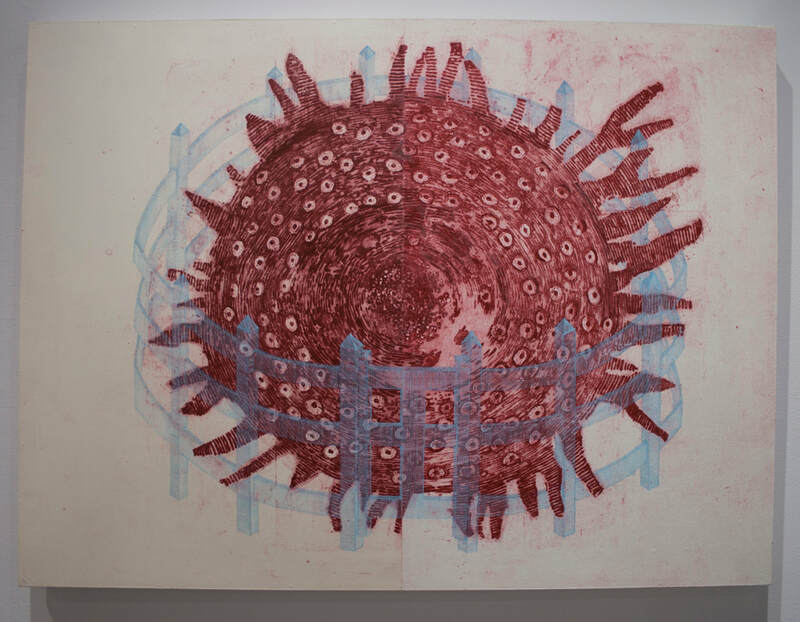 The large blood-red form is inspired by an anatomical illustration of a mammary gland from the circa 1940’s medical text “Diseases Peculiar to Women.” Encircling the female breast is the enclosure, a structure taken from the last scene in “The Unicorn Tapestries.” The "heavenly enclosure", described as a symbol of Mary’s perpetual virginity, is constructed with delicate hand-drawn lines of blue ink that contrast sharply with the painterly marks of the "bodily" collagraph. The enclosure--"as a human invention of boundaries"*--simultaneously protects and reveals. *Art historian and Professor Lianne McTavish writing about the enclosure in her essay Reciprocities: Istanbul and Edmonton. Leonardo da Vinci’s delicate rendering of a woman’s torso:Dissection of the principal organs and arterial system of a woman became the starting point of this contemporary work. 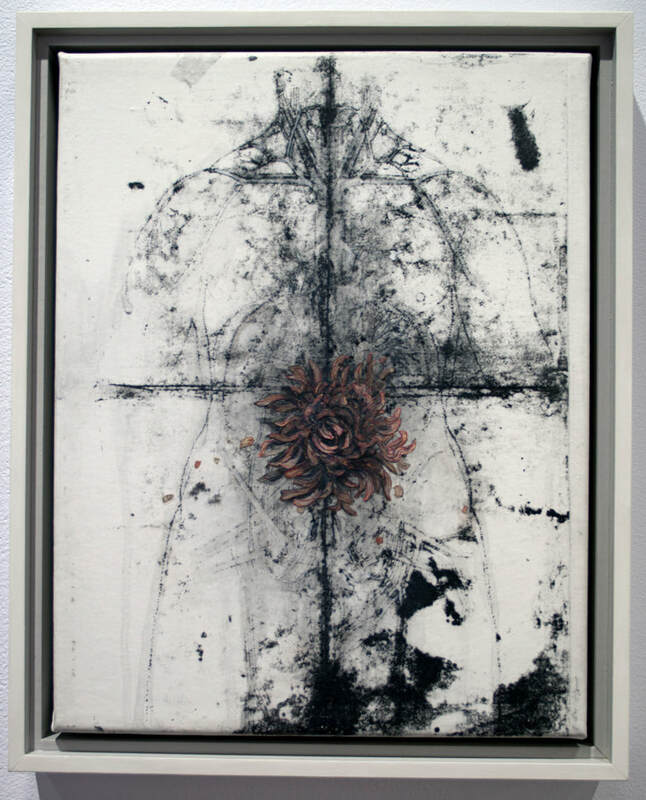 It was the drawing’s verso that captured my attention: the way the pin-pricks on the back of the drawing created the form of the body and its anatomy, and the way that the folds in the paper becomes a division imposed on the body. 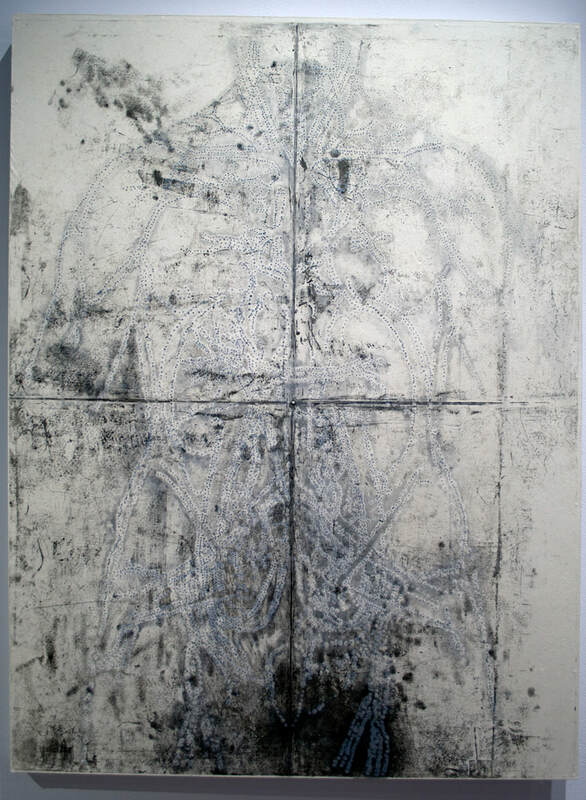 I did the same to a sheet of copper as da Vinci had done in the cartoon: I physically folded the copper in four and redrew the women’s body in individual pricks; each one physically etched into and through the plate.The additional drawing, printed in white, contrasts with the history of the etching and reminds us of the tenuous corporeal and symbolic “body” being represented here. And at her centre is a pearl. 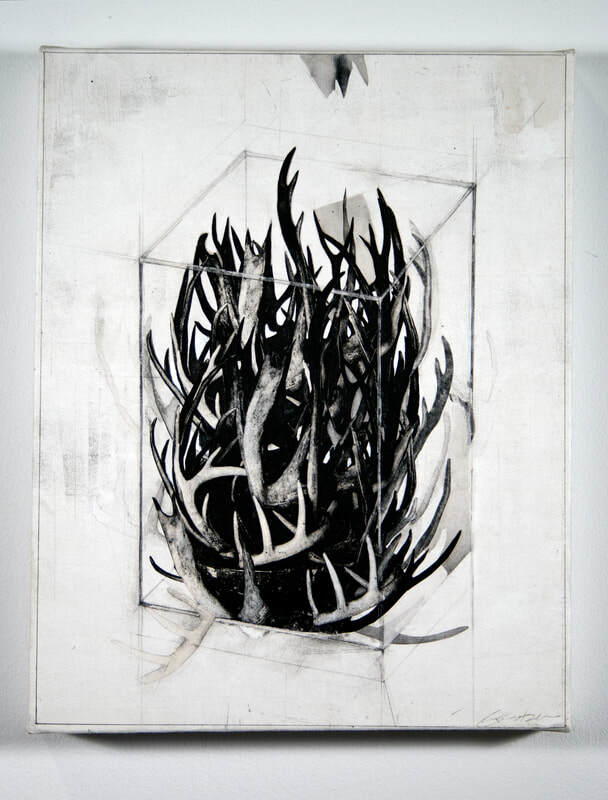 In my work, I play with symbol and myth while using objects to evoke visual metaphors relating to the female body. Referencing the myth of Daphne and Apollo, here the tree branch symbolizes the trachea of Daphne at a moment of her transformation to a laurel tree. 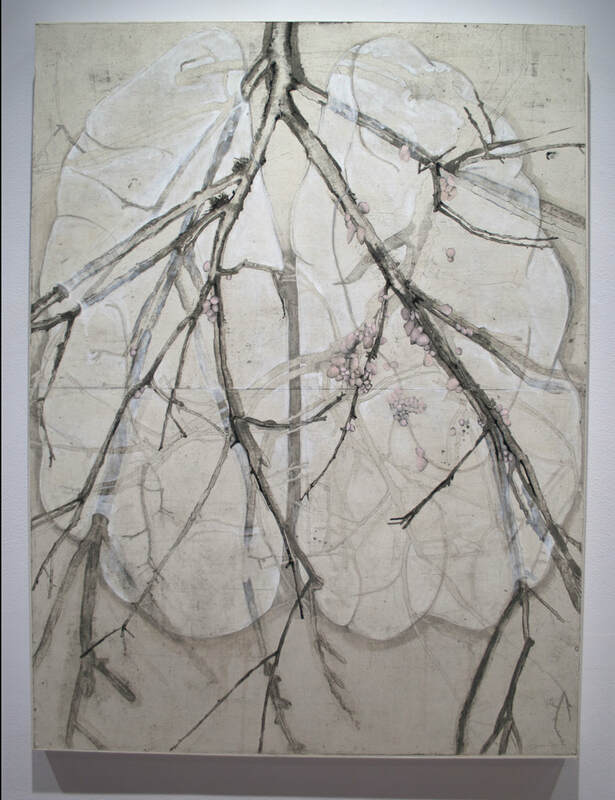 The lungs, the form taken from a 18thcentury woodcut from Japan, are painted in a milky white that contrasts with the clusters of pale pink sculptural forms that cling to the branches. 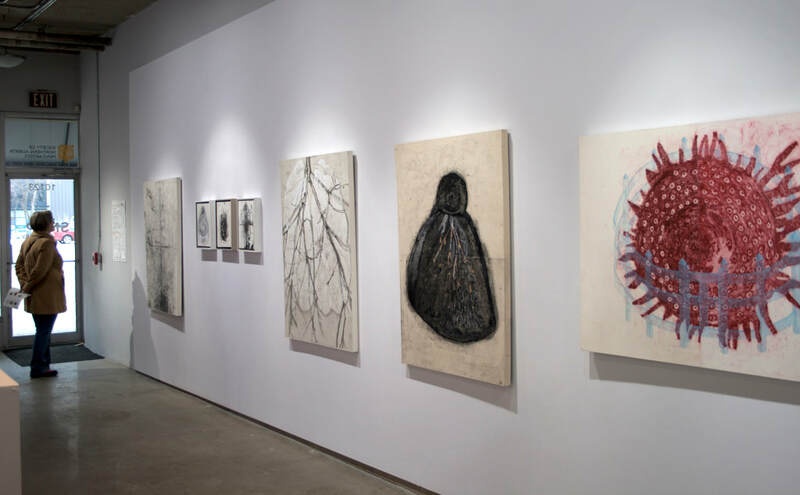 Through the layers of drawing, exterior and interior form vacillate, responding to the brutal reality of the narrative—her body at the moment of its last breath. 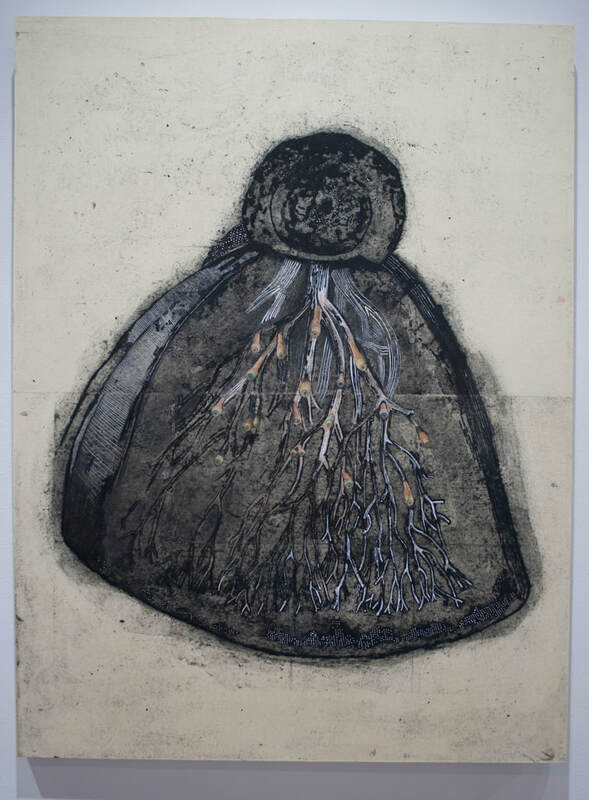 Blossom is a photo-based print of the original delicate renderingof a woman’s torso by Leonardo da Vinci. The image is, however, taken from the verso of the drawing, through which we experience the woman’s form and flesh through the cartoon pin-pricks and stains. A collage in the form of a chrysanthemum emerges from her anatomy. 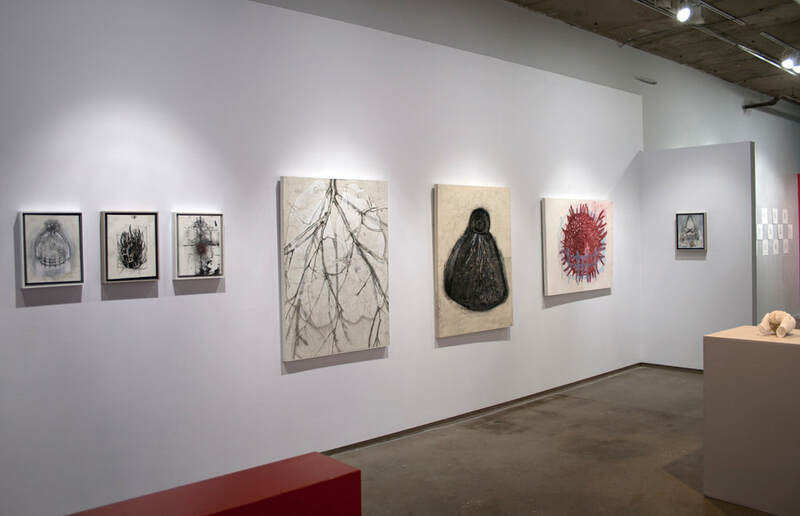 The Edmonton author and poet Wendy McGrath has written a poem on this work and the other pieces from the exhibition shown at SNAP. The poem called What Leo Forgot: A Chrysanthemum of Gutscan be found in reviews. 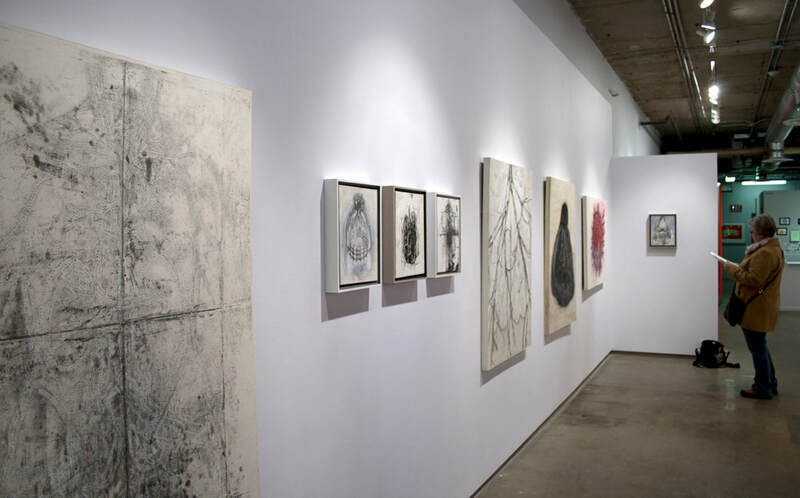 Since 2012, I have worked on the “From the enclosure series…,” mixed media works that examine the female body’s long history as a repository of cultural, sexual, medical and religious meanings. 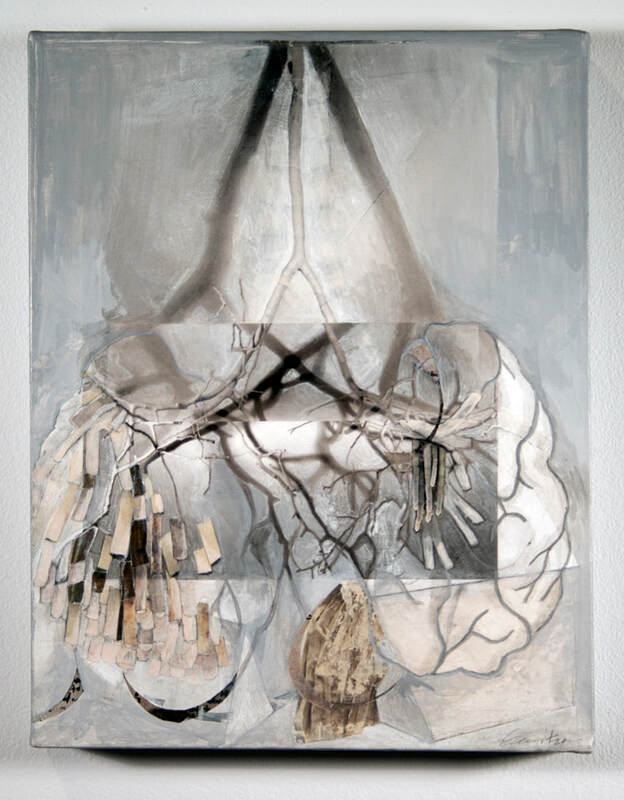 In “the bell jar,” three elements are brought together as one: an anatomical illustration of a breast from the medical text “Diseases Peculiar to Women,” the glass bell jar inspired by Sylvia Plath’s novel of the same name, and the delicate round fence or enclosure that becomes the designated metaphorical place for this feminist examination.